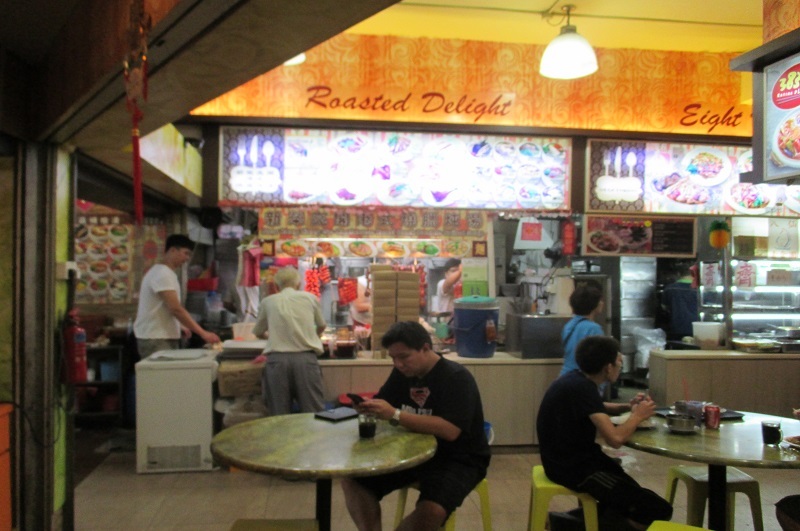 This stall sells everything roasted, from the usual char siew, or roasted pork meat, to roasted duck as well as double boiled soups. Having heard good things about their reasonable pricing and good quality roasted meat, we decided to give it a try since we were in the vicinity. We got in line at around 1pm, with around ten other patrons queuing to buy the food. To fully appreciate the culinary skills of the chef, we ordered the combination set that consists of char siew, roasted pork meat and roasted duck, along with a double boiled watercress pork soup to go along with the meal. We paid $4 for the combination set and $3 for the double boiled soup, quite a reasonable price! 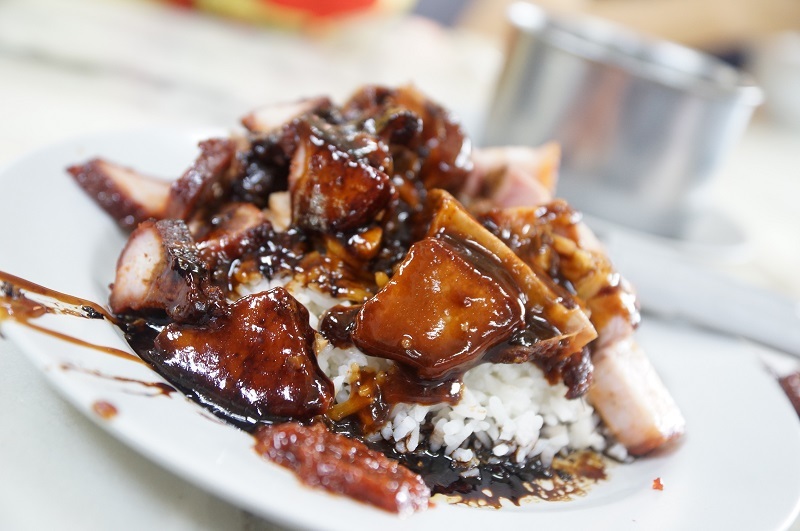 The plate of rice with meat was drenched with a dark sweet sauce; it tasted a tad too sweet and and was a little weird-tasting when eaten with the rice – they did not blend too well, in our opinion. 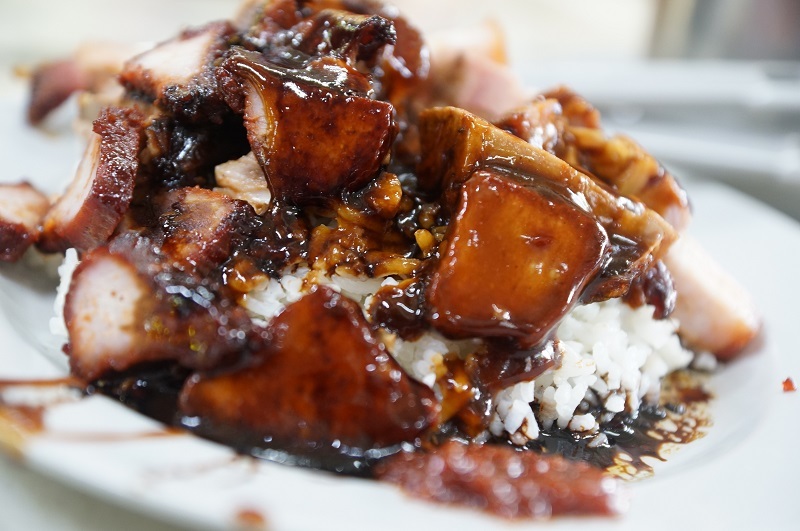 However, the char siew was roasted to achieve a nice char on the surface, yet still maintaining its juiciness. The roasted pork was tender and fragrant, we especially like the roasted pork done with some crisp, giving it an added bite. The roast duck is supposedly their signature creation, and it’s easy to see why: the duck meat was tender and nicely roasted to perfection, we can fully concur the stall lives up to its name of turning out great roasted delicacies. Too bad about the overly-sweet sauce though! 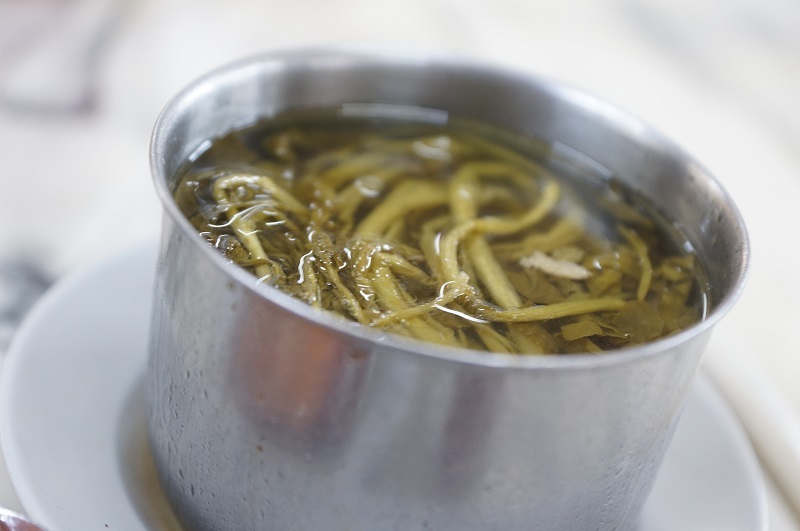 The watercress with pork rib double boiled soup was good, the essence of the veggie and the sweetness from the pork rib were fully infused into the broth. New Rong Liang Ge Cantonese Roast Duck Double Boiled Soup serves up reasonably priced and flavourful roasted meat as well as double boiled soups. We would say that the price is definitely a key attraction and partially helps to explain the snaking queue. We wouldn’t mind joining the queue for their affordable and tasty roasted meat again!